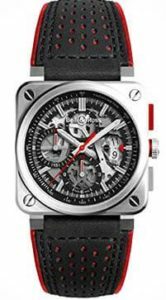 A skeleton watch is a mechanical watch, in which all of the moving parts are visible through either the front of the watch, the back of the watch or a small cut outlining the dial. 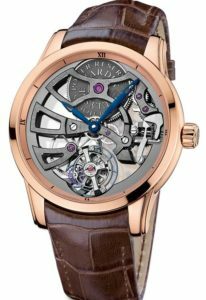 True ‘skeletonization’ also includes the trimming away of any non-essential metal on the bridge, plate, wheel train or any other mechanical part of the watch, leaving only a skeleton of the movement required for functionality. Often, the remaining thinned movement is decorated with engraving. 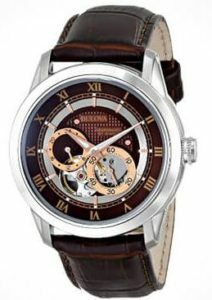 This can be with or without a dial face that allows the user to see through to the movement. 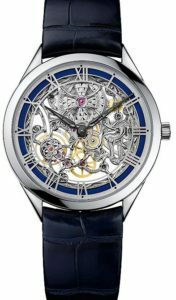 Skeleton watches have been around for quite some time already, but manufacturers are getting more and more creative with how they display them. This watch shows all of the watch parts full bare, allowing you to ‘watch’ your watch as it ticks. 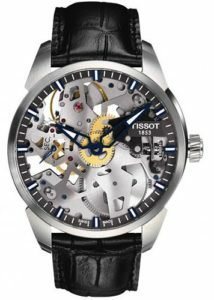 Skeleton watches come in all price points, from many thousands of dollars , to moderatley priced and anywhere in between. Listed below are some of the most beautiful that I could find. 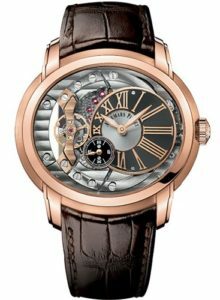 I hope you enjoy looking at these beautiful timepieces. 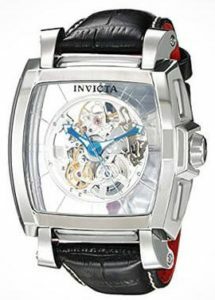 I had no idea this type of watch was even made. Thank you for the story. Leo has had one for years that he bought at Stauers. (sp) He wears it all the time and when I go and visit, I make sure I wind it. He can’t tell time anymore, he just likes the look of it and knows if the wheels are moving, it is running.